Located on the slopes of West Maui mountains, this master planed 550 acre community is a mix of single family residence, townhouses, and condominiums. 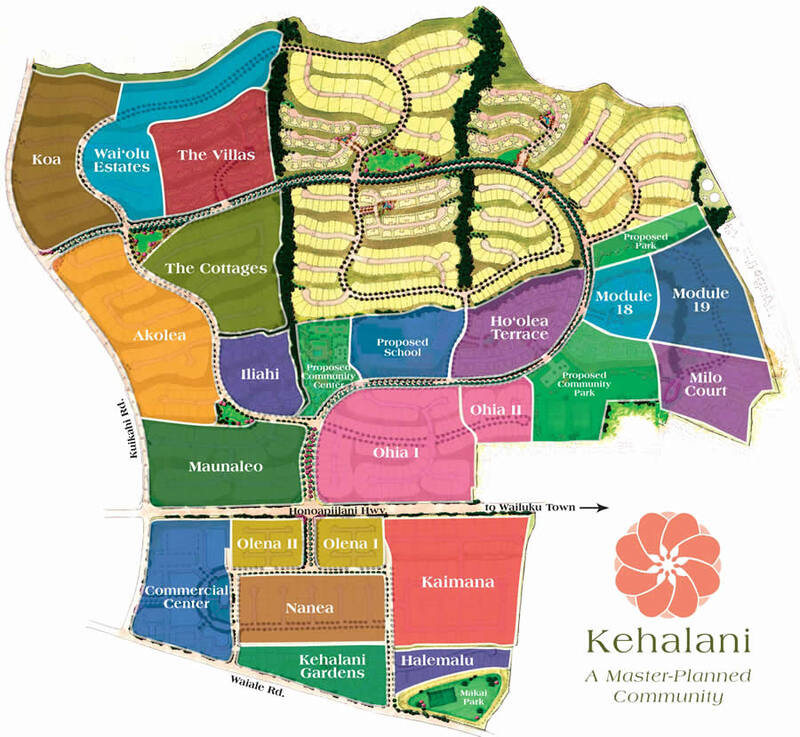 Included as well in the master planned community of Kehalani, Wailuku is parks community centers and a small commercial area which include nearby amenities like grocery store (Foodland), pharmacy (Long’s Drugs), parks, community center, and Maui’s newest elementary school for grades K-6. Since Wailuku is centrally located, it is ideal for those working at Maui’s hospital, Kaiser clinics, County and State offices. Depending on the location within Kehalani, Homes and Condos for sale in Kehalani, can have the potential for spectacular ocean views of North Maui, or views of South Maui or even Bi-Coastal views. There will also be units situated to take advantage of Haleakala views to watch the sunrise every morning or the sun setting over the majestic West Maui Mountains. Most homes within this subdivision are situated on land between 3000-8000 sq ft of land.